Animation Insider has just put online an in-depth interview with your hero and mine, Eric Robles. 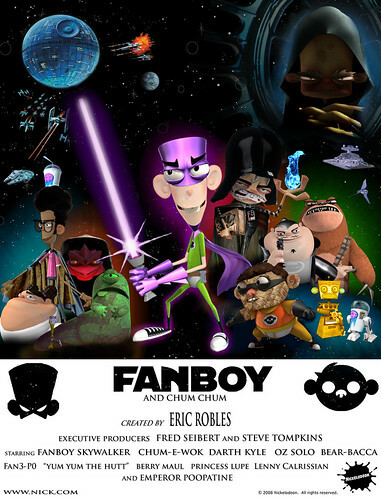 Conducted by Aaron H. Bynum, the piece covers all things Robles as he gabs about the past, present, and future of Fanboy and Chum Chum. 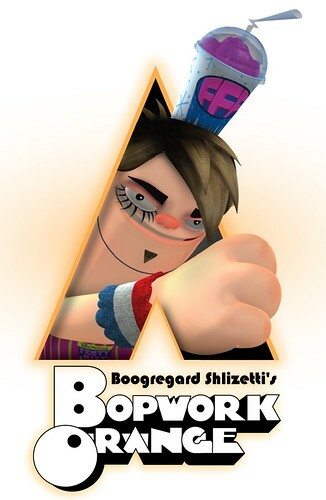 [W]hat are you most proud of so far, with the first season? I think the thing I’m really proud of is everything that I’ve learned. A lot of times, for a lot of new creators of shows, sometimes if they’re straight out of school or if it’s their first kind of job, it’s a lot to take in, you know? And one of the key things of having this position is really learning to work with people. 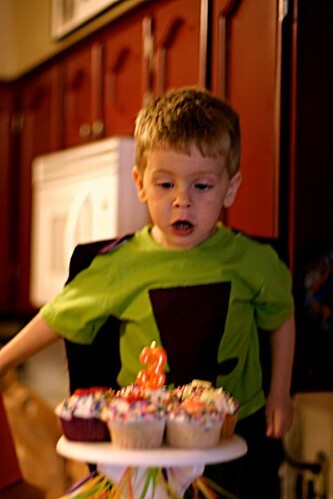 So when Aiden turned three recently, what do you think he wanted? 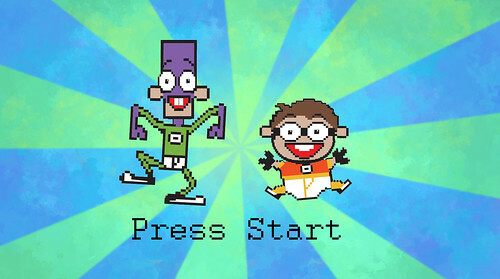 Well, like any red-blooded American boy, he asked for a Fanboy and Chum Chum-themed birthday party. Thanks to his mom, Giselle, he got one. Thanks for the pictures, Giselle, and Happy Birthday, Aiden! 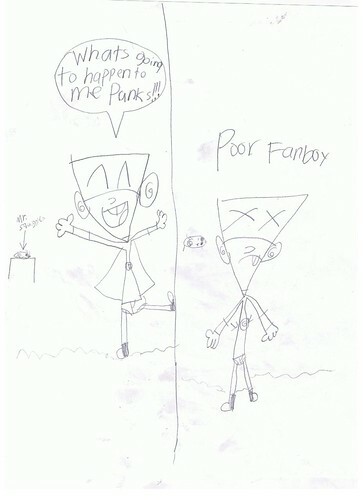 A new batch of Fanboy fan art featuring Kyle, plucked from the pages of Deviant Art. Thanks, everyone. Man, look at this fan art from Georgian Mr Tyson Hesse. Awesome, no? 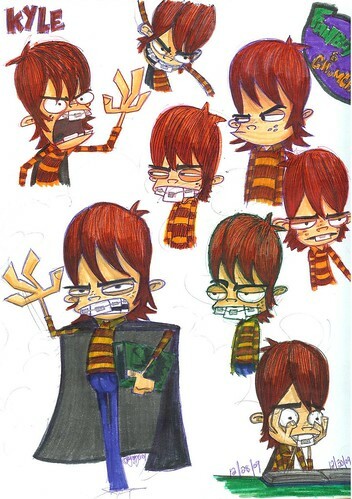 Remember, if you’ve got any fan art inspired by Fanboy and Chum Chum, we’d love to see it on the Art of Fanboy Chum Chum Tumblr page. When you upload your art to your Flickr page, just include the tag FBCCFA and your masterpiece will show up on the art site as if by magic, just like Tyson’s. Thanks to Tyson and all the fan artists so far. Thanks, Miranda! Awesome, awesome job. Fan art by Deviant Artist Sun-Face. “I srsly need to make a FBnCC music video to that song forreals. So… This is them… As… Teenagers… Because… I’m lame. So, in my mind, (because I am SUPERNERD!) 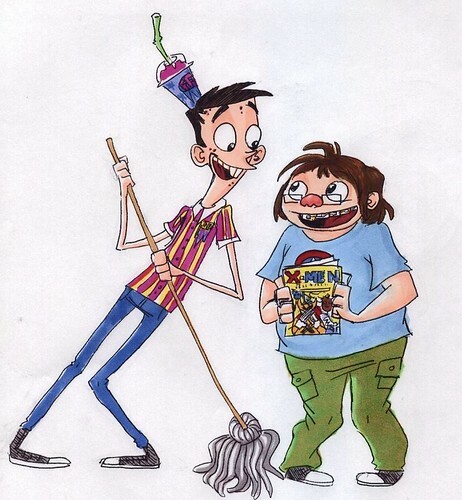 they’re, like, fifteen/sixteen and are looking for jobs… Chum Chum gets to work at Oz’s Comics (because he got there first) and, unfortunately, because it’s so obvious, Oz can’t really afford to let both of them work there, so Fanboy has to work at the Frosty Freezy-Freeze Mart. Place. Yeeeeeeeeeaaaaaaaaaah. 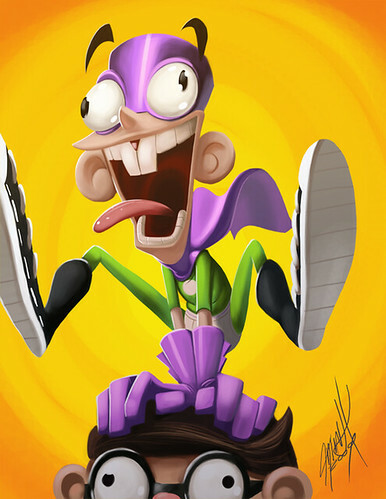 From Fanboy and Chum Chum production assistant Andrew Golden. Thanks, Andrew. By production assistant Chris Hamilton. Thanks, Chris.